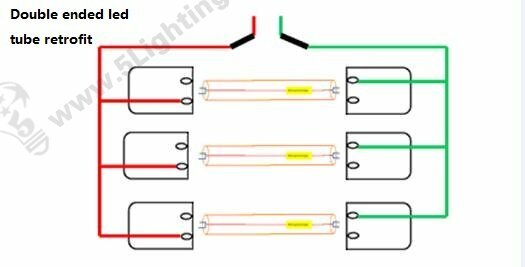 Single ending or Double ending led tube type for your retrofitting project ? connection type : single-ended or double-ended before replacements . 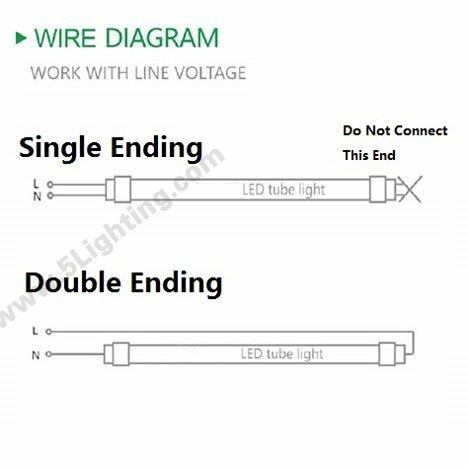 Double End Powered (DEP) LED tube lighting means is powered on two ends , one for Living line , the other for Zero (null) line . Bi-Pin socket with mounting secure function) . The label will adhere on the end which is should be powered . 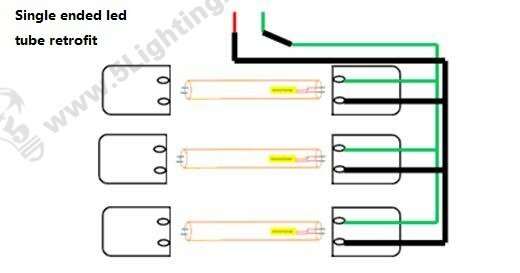 If you are buy totally new integrated t5 / t8 led lighting fixtures or led tubes with bracket from 5 Star, you don’t need to consider this factor . Please do make sure single-ending or double-ending led tube lights before purchase and operate rewiring by a qualified electrician .